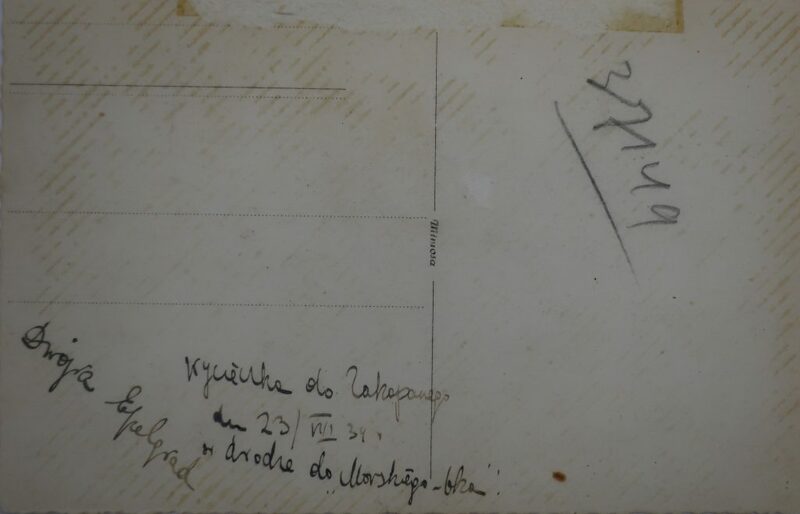 Summary: Devorah Epelgrad (Cohn) dates this photo to August (?) 23, 1934, the summer before she graduated the Seminary. 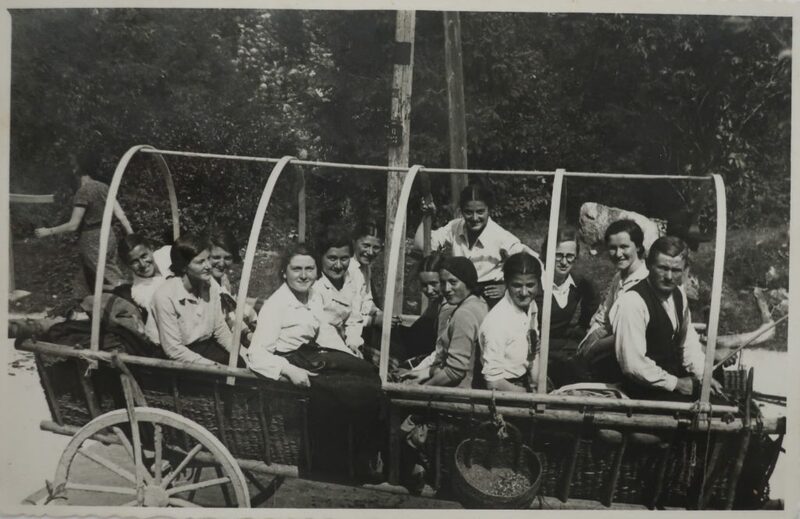 The description reads, “A trip to Zakopane, en route to Lake Morskie Oko.” This group of young women may be the same as the one by the lake (NC2019.004).